Budget: The make and model of the car you intend to buy will depend on your budget and the purpose for which you are buying the car. A hatchback would normally cost less than a sedan and a sedan may cost less than an SUV, but the cost of the car would depend on the make and the model of the car, plus other factors cited below. Year of manufacture and kilometres logged: The year of manufacture and the usage of the car since the date of first purchase also determines the value of the car. Hence, the older the car, the less it will cost, and vice versa. A car that is less than five years old will command a better price than a car of the same make and model but which is more than 10 years old. A car which has been put to heavy usage would cost less than a car of the same age but put to lighter usage or used only occasionally. The longer the age and higher the usage, the higher the depreciation, therefore, the older the car, the higher will be the depreciation and lower the value. The odometer of the car will show the number of kilometres logged in by the car since the date of first purchase. The running costs: Although a used car is cheaper than a new one, the running costs of an old car are higher. This is because an old car will consume more fuel than a new one (of the same make and model) and the costs of maintenance and repairs would be much higher than a new car. 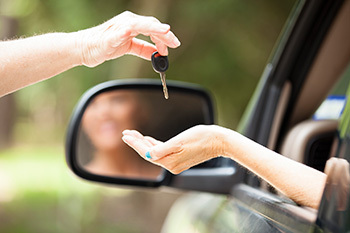 Checking the condition of vehicle: It is absolutely necessary to test drive the vehicle before clinching the deal. Make sure that the steering, accelerator, brakes, clutch, gears, engine and other parts are working fine and smoothly. Paperwork: One must ascertain whether or not all the papers relating to the car are available with the car owner. The important documents to be checked and verified include RC book, tax certificate, insurance policy, road tax, invoice, PUC, NOC from finance company (if bought on loan) and Form 35. After buying the car, the documents needed for transfer of ownership are TCA and TCR forms, form nos. 28, 29 & 30, insurance policy, PUC, address proof of transferee, receipts of payment of all taxes.